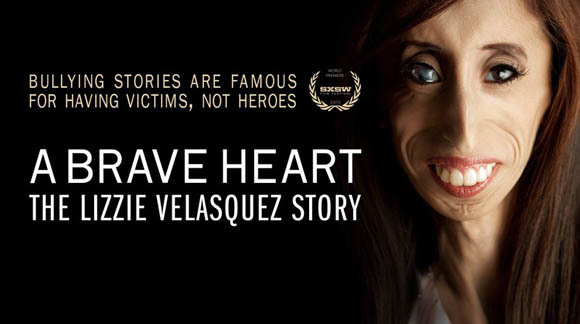 Once dubbed “The ugliest woman in the world,” Lizzie Velasquez can tell you a thing or two about turning lemons into lemonade. 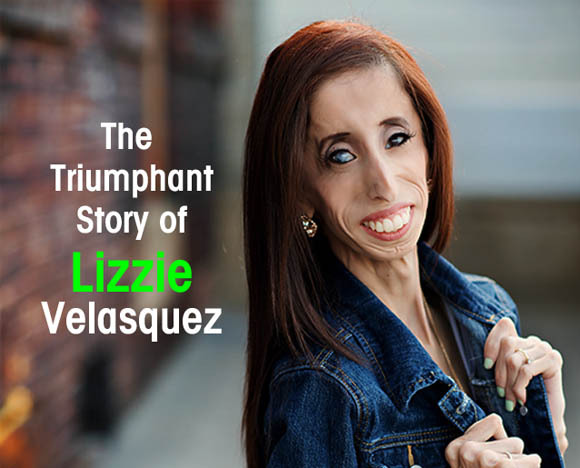 After the seeing the devastating video that called the ugliest when she was only 17, Lizzie managed destroyed, but she managed to slowly rise the occasion and she turned all that into a big positive. 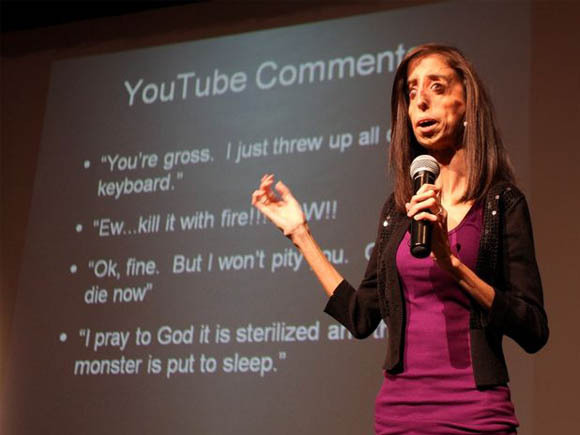 She now over 300,000 subscribers in her YouTube channel, she has delivered a TED talk (a global conference on Technology, Entertainment and Design), and has appeared before US congress in support of anti-bullying legislation. It all started about 10 years ago. According to mtv.com, was Lizzie passing time by surfing YouTube when she clicked on the video titled, “THE WORLD’S UGLIEST WOMAN,” only to find that it is about her. She couldn’t stop crying for days, to make matters worse, she feared for her life from all the hateful comments posted on the video. Lizzie has a rare congenital condition, so rare that it doesn’t even have a name. It affects her vision and her immune system, among other things, but its most obvious impact is on her body. Velasquez has zero percent body fat, and is unable to gain weight. 5. Know that its ok to have bad days!